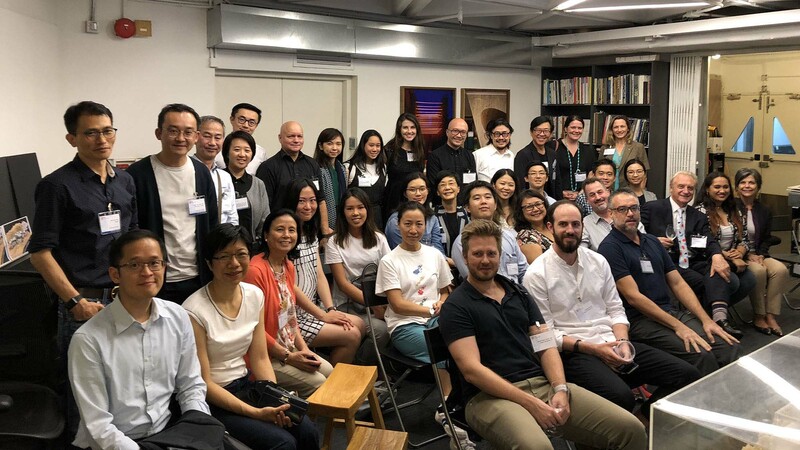 We hope everyone had an excellent summer, all recharged and ready to kick off another season of exciting events with AIA Hong Kong! 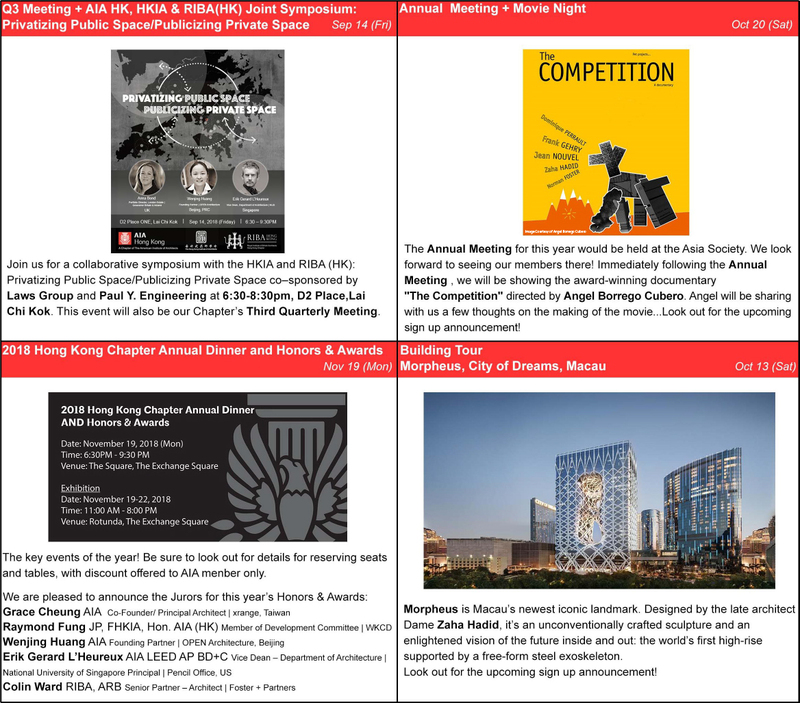 The Chapter hosted a number of events before summer, all oversubscribed! 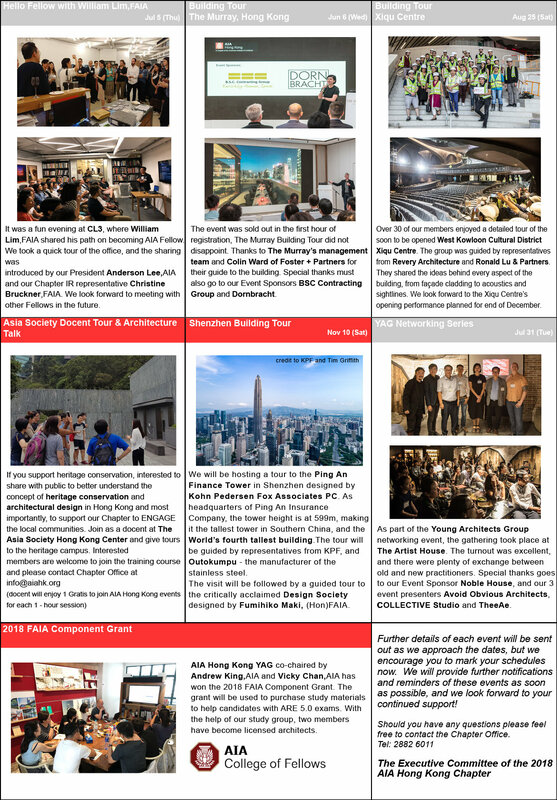 The Murray Hong Kong Building Tour and “Hello Fellow” with William Lim, FAIA were amongst these! It was very encouraging to see a great turn out at the Young Architects Group gathering. The major highlight event of the year certainly would be the Chapter Annual Dinner and the Honors & Awards Presentation on Monday, November 19th. We sincerely encourage everyone to participate!